Thanks to suppliers like you, the products of Nissan North America, Inc. and its affiliate companies have become a powerful force in today's competitive marketplace. Because we appreciate your contribution as an employee of one of our valued business partners, we are pleased to offer you the benefits of our Vehicle Purchase Program (VPP). The VPP program enables you to purchase a Nissan vehicle at a pre-negotiated price, and it makes the process virtually hassle-free. Bring us your VPP Claim Number and select the vehicle you want. You'll enjoy VIP treatment throughout the purchase process-and drive home in a beautiful new Nissan. 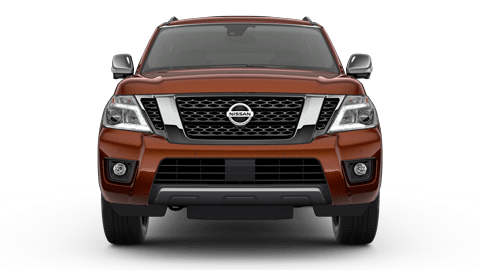 Through the Vehicle Purchase Program (VPP), Business Associates pay a pre-negotiated price for a Nissan vehicle: dealer invoice less any applicable incentives, plus delivery fee, plus a destination and handling charge and, if applicable, an advertising assessment fee. Plus dealer added options, Security Plus, Infiniti Extended Protection Plan, etc. The Vehicle Purchase Program not only offers you an exceptional value, it simplifies the car-buying process. Just follow these steps, grab your keys and enjoy the feeling of driving a new Nissan! Obtain a Claim ID Number by contacting your Employer's VPP claims administrator for instructions. You will be asked to provide your name, address, telephone number, company name, social security number or employee number, and the type of vehicle that is intended to be purchased. Once you've selected your vehicle, Nissan will calculate your purchase price using the VPP Claim Form online. We will show you the vehicle invoice before completing this calculation. The Vehicle Purchase Program also offers discounts on Nissan's extended service agreement. You may purchase the above service agreement directly through our dealership at the time of your vehicle purchase. Q. Who qualifies under the Vehicle Purchase Program? States and Alaska that are engaged in direct business with Nissan North America, Inc. (NNA) or any of the Nissan Affiliate companies. dealerships in the continental United States and Alaska. Participants must reside in the continental United States, Hawaii and Alaska. Q. I want to know how much the car I want will cost. 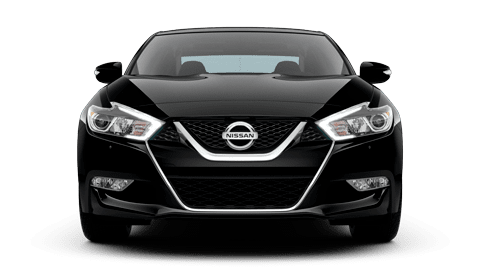 Can my business contact at Nissan provide me with price quotes? A. No. VPP vehicle pricing can be obtained only through our dealership. When you present your VPP claim form at the dealership, you are entitled to see the invoice of the vehicle you are interested in buying. Q. What if I want to purchase accessories? Will I get a discount? A. No. There is no pre-negotiated VPP price for dealer-installed accessories. Prices for Dealer-installed accessories are negotiable between you and the dealership. Q. How can I find out if VPP incentives are being offered on the car I'm interested in? A. For information on current VPP incentives, contact our internet department or call VPP headquarters at (800) 299-4753. Q. Can the value of my trade-in be used to further reduce my purchase price? A. No. The value of a trade-in can be used to pay for your vehicle purchase, but it cannot be used to determine your purchase price. Your trade-in must be handled as a transaction separate from the VPP price calculation. Q. How do I finance a vehicle if I purchase or lease through the VPP? A. Financing is handled the same way it is with non-VPP purchases. You can work with the dealership to obtain financing, or you can obtain financing on your own through a bank or credit union. If you choose to finance through the dealership, normal credit standards will apply. Q. Can I lease a vehicle through the VPP? A. Yes. If you lease through Nissan Motor Acceptance Corporation, a special lease incentive may apply. If so, any available VPP retail core incentive will not apply to your transaction. A. For information on current VPP incentives call VPP headquarters at (800) 299-4753 to obtain your Login ID and password. Q. What if I lose my Claim ID Number? A. Please contact VPP Headquarters at (800) 299-4753. Nissan North America, Inc. reserves the right to modify or discontinue the Vehicle Purchase Program at any time without notice.